Hi! 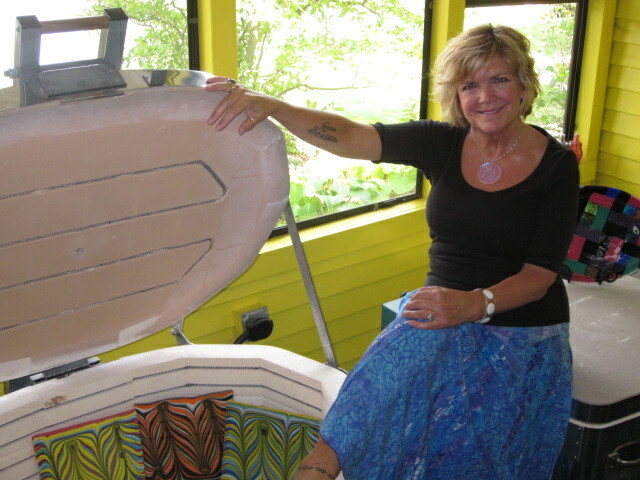 I’m Patty Klunzinger, Glass Artist/Owner of Glass Utopia in Indianapolis, IN. Like many others, I began with traditional stained glass and mosaics. It was challenging and beautiful! Then I bought my first kiln (which is now one of seven!). At first, I created fused jewelry and smaller things, which enticed me to buy bigger kilns to make bigger things! So I was off to designing plates and functional pieces, decorative artwork, shelves, corporate installations, sinks and so much more. Combing molten glass in a 1,700-degree kiln is exciting and fascinating! Next, I added a torch to the mix to explore glassblowing and lampworked beads. So the adventure continues…..
Glass is a limitless, creative medium and I am blessed beyond measure by my gracious Creator!